After my husband and I lost our second daughter, Genevieve, to stillbirth, I cried three or four times every day. The little lead ball I felt in my chest in the morning would grow throughout the day until I thought that I would collapse from the weight. Only a good, long cry could lighten it. My husband, Greg, would hold my hand or lie down next to me on the bed, always with dry eyes. Greg had cried in the hospital. I saw him cry only once after we returned home. We both read and discussed books on grief. We talked about the months yawning in front of us, months that we had expected to spend caring for a new baby. I had planned to quit my job. The thought of returning to work unhinged me, but Greg feared that I would spiral into depression if I sat at home every day. Greg saw our time with friends as a way to relieve stress and feel supported. For me, every social outing was a reminder that I should be home snuggling an infant. When Greg returned to work two weeks after Genevieve's death, his life seemed mostly back to normal. I still spent much of my time crying and searching the Internet for information on stillbirth, so he kept the house running and took over most of the care for our older daughter, Eleanor. I worried that he was in denial or, worse, that he was already over his sadness. We began attending a support group for parents who had experienced stillbirth or infant loss. I had never met these couples before, yet our stories sounded the same. While the women dabbed at their eyes with tissues, the men often cringed when asked to share their feelings. The different kinds of reactions we and the other couples had are all normal, says Christiane Manzella, PhD, a grief counselor and senior consulting psychologist at the Seleni Institute. "Often, men are problem solvers or instrumental grievers," says Manzella. That means they cope with grief through problem solving, such as making memorial service arrangements, helping care for the woman after she comes home from the hospital, and keeping the household running. For them, taking action is a way to heal. Women, on the other hand, tend to be intuitive grievers, says Manzella. "The focus really is more on the emotional expression of grief." Some of that difference can be attributed to our upbringing and society's norms, says Manzella. Boys are still often taught not to cry, while girls are encouraged to express their emotions. But even though those differences are normal, I know firsthand how hard they can be on a relationship. So I interviewed other couples and experts in the area to research ways couples can work to stay together as they cope with loss. 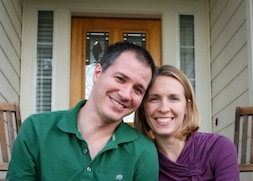 A 2010 study in the journal Pediatrics looked at thousands of married couples and unmarried couples who lived together. Couples who had experienced a miscarriage were 22 percent more likely to separate than those that had not. Couples that had experienced a stillbirth were 40 percent more likely to separate. "There was a lot of fear when this came out that this would be a doom and gloom story for couples," says coauthor Katherine Gold, MD, an assistant professor in the Department of Family Medicine and the Department of Obstetrics and Gynecology at the University of Michigan. "I see it in a different way." For Gold, having that knowledge provides an opportunity to educate couples and help them stay together. The closeness that many couples feel immediately after a loss often wanes after months of coping. Gold wants couples to know that stress is normal after a major loss and that counseling and support groups can ease it. In 2010 Brandy and Elliot Wilson, parents of a one-year-old son in Naperville, Illinois, lost their first son, Andrew, to stillbirth. Both said they knew their marriage had to be a priority afterward. We were well aware that acute tragedies, such as losing a child, put a lot of strain on a marriage and can make or break a relationship," says Elliot. "We spent a lot of time together. We talked a lot." "Out of anyone in this world, Elliot was the one I needed (and still need) most in the world to understand me," says Brandy. Communicate and give each other space. "The real key – and this is so simple – is talking about it," says Manzella. "Listen to each other, allow space for communication, and acknowledge that each person's style of grieving may be different." Be patient with yourself and your partner. Both Gold and Manzella said that couples are often pressured by friends and family to move on or get over the loss. Though couples can move forward, they never forget. Often, a support group or a therapist can help shore up grieving parents after help from others has faded. Know when to ask for help. Manzella usually sees couples at one of two points. Some want support immediately after their loss because they can see they're on a rocky road. Others reach a point of feeling "stuck" several months after their loss. Though grief doesn't follow a specific timeline, "six months is often a time when the reality is really starting to sink in," says Manzella. At that point, people often sense that they want to move forward, but may not know how. I sought help both early on and months into my grief. The support group that Greg and I began attending shortly after our loss helped us learn how to talk about grief and navigate social issues, such as what to do about all of those invitations to parties that included babies. Then about four months out, I became very frustrated with life. All the help from friends and family had ended, and I felt too exhausted to maintain my friendships. I talked desperately about getting pregnant again, but Greg was reluctant to try. I began to attend therapy, and Greg occasionally joined me. We both found it helpful to talk to someone who wasn't emotionally involved in our lives. I learned to respect Greg's opinions and methods of coping instead of badgering him to think like me. I also saw that we were each on our own timeline. If Greg wanted to go to a child's birthday party and I wasn't ready, we could spend a few hours apart. The Wilsons didn't attend therapy but did make changes in their lives to cope. "We spent a lot of our first year after losing Andrew just surviving," Elliot Wilson said. "Holidays were sort of taken off the calendar, and we'd find ways to distract ourselves by completing house projects or going on trips to get away from the norm." They said that time helped them to heal and strengthened their relationship. "We're more vulnerable with one another than we ever were before." Brandy Wilson said. "We are more open about our emotions. If Andrew had lived, we wouldn't have as close of a bond as we have now. Losing Andrew brought us to our knees. I refuse to see this as a silver lining, but our marriage is unshakable."